The Remington F5-5800 foil shaver was released in 2013 and still remains a great value shaver. This is a great foil-style rechargeable shaver that not only performs well but also available at a great price. The shaver foil can flex independently on your skin, so you can have close and exceptionally comfortable shaving experience. If you want to know details about the product, the ShaverZone team has given a total review of the shaver. Remington F5-5800 shaver is one of the most popular electric foil shavers in the market. It always competes with the bestseller foil shaver Braun series 7 790cc. Most of the times it stays number #1 best-seller electric shaver on the biggest online shop Amazon. Because of its outstanding features, service, and very reasonable price, it has become people’s great choice. 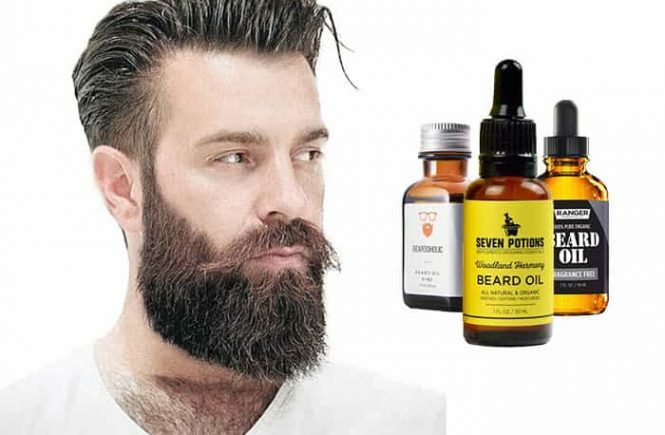 Now I will give a discussion about shaving head which is obviously the most important part of the whole product. The blades made of stainless steel, surgical-level blades that can ensure an ultra close shave at the first time around. The blades should stay sharp for hundreds of hours if you treat well. Remington recommends changing the blades and the foil just once every 6 months. Remington has own pivot and flex technology which allows each shaver foil to flex independently. It makes the foil shaver adjust accordingly to conform to the contours of the skin surface. Pivot and Flex is one kind of technology that thoughtfully adjusts to curve surfaces for smooth and precise shaving. This is very good design for some difficult areas like neck and jawline. 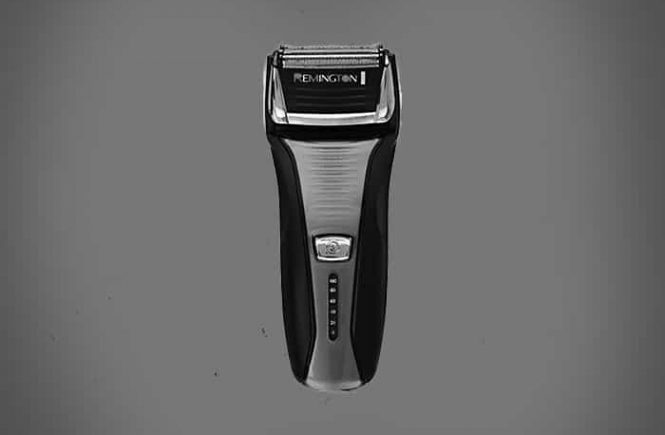 With this technology, the Remington F5-5800 can achieve 97% shaving efficiency. The Remington F5-5800 is well-balanced shaver. When you compare to other devices you’ll follow that it is quite large. It comes in at 5 x 3.4 x 9.1 inches and weight 1pounds. You will notice that this shaver does not come with a cleaning station because it really doesn’t need for Remington F5-5800. The Remington F5-5800 has a simple design that makes it easy to clean. You can easily clean and rinse the shaver under running water. The surgical steel blades are so easy to clean. 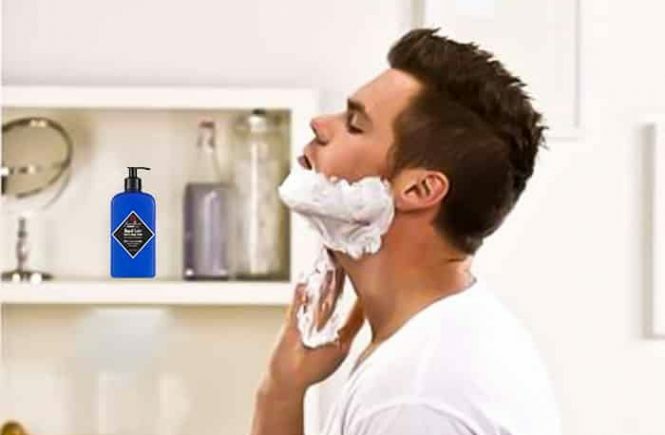 That is why you can clean the shaver after each shave within just a couple of minutes. You can also clean the blades with a small cleaning brush. This Remington F5- 5800 shaver has a nice pop-up trimmer that allows you to trim your beards, mustaches, eyebrows facial hair and sideburns easily and quickly. The pop-up trimmer is located at the back of the shaver. It is so important to know that the pop-up trimmer is for shaping your hair, not for shortening the length of the hairs. 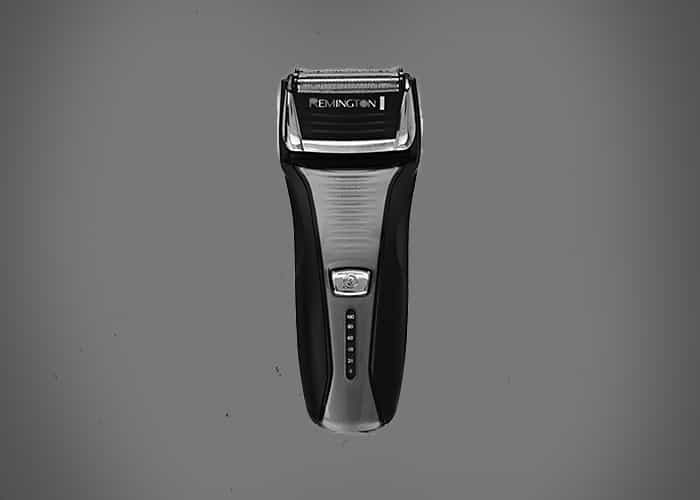 The interceptor shaving technology assimilated into its design, allowing you to achieve a closer shave with some passes. The Interceptor has a small trimmer between each of the foils that work to cut down longer hair. Basically, the 3-stage system uses in the intercept tool for pre-trimming longer hairs and two flexible foils for close shaving. Every other foil shaver and even rotary shaver I did not find this feature. The Remington F5-5800 rechargeable batteries need about 2 hours to be fully charged. With a full charge, you can shave randomly 60 minutes. If you forget to charge your shaver, you can have a quick charge within 5 minutes which will provide you enough fuel for 1 or 2 shaves. The Remington F5- 5800 electric shaver has an LED indicator that shows how much power is remaining. The LED display will inform you when you need to charge up your shaver. Remington F5 will give you the desired results anytime you use it. You can use this shaver while you are constantly connected plugged in with the power socket which means that you can shave corded or cordless. This gives you great flexibility. This versatility makes it possible to use the Remington F5-5800 indoors or outdoors. The handle of the shaver also perfectly fits into the palm of your hand. It is not so weighty not so light. You can use it for long periods without getting tired. Due to its lightweight, you can easily carry it for travels. Now, we have come to the last part of our review and the ShaverZone team will give an opinion on this product and you will make a better decision on whether to get this electric shaver or other models. The Remington F5-5800 is very affordable and provides really smooth and close shave. A lot of customers are already satisfied with this shaver. The Rating of this shaver on Amazon is 4.1 out of 5 stars which is really great. 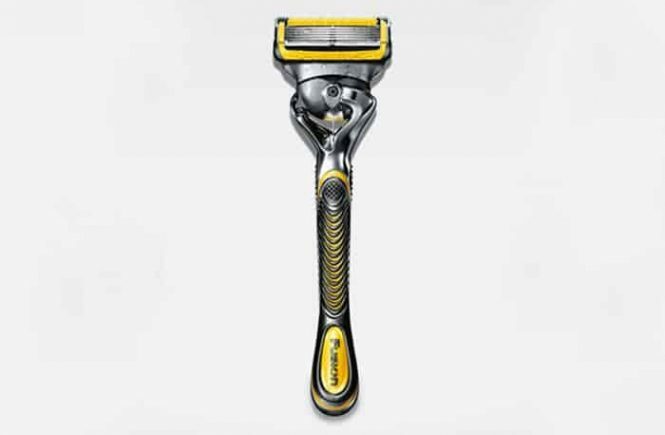 It has a few problems but overall it has a great shaving action that rivals more expensive competitors. It can easily fulfill your basic requirements at an affordable cost. The shaver is very easy to clean, easy to use, and easy to charge. At last, we want to say, the People who like foil shavers and does not want to waste much money on shavers but want precise and comfortable shave than this shaver is a great choice for you. Another important factor, from our point of view, it also comes with a full 2 years warranty so we have no doubt about its quality. Noisier than most other shavers.